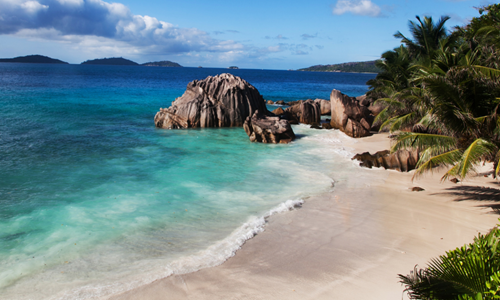 Situated in the North of La Digue, this pink hued sandy beach is easily recognised by its large boulders that have been worn over time by the ocean. 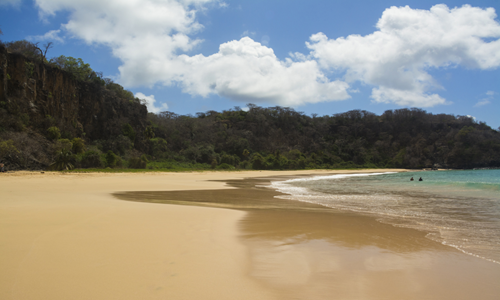 Sheltered by a reef, this beach boasts calm waters perfect for paddling or a refreshing swim. If you get peckish there are several nearby restaurants where you can sample local Creole-inspired cuisine. A stunning white sand strand of beach offering excellent swimming and snorkelling close to shore. Spot colourful tropical fish darting in and out of the reef, the perfect photograph opportunity. Kayak from the beach to discover nearby grotto’s and uninhabited islands surrounded by schools of black, silver and blue fish. 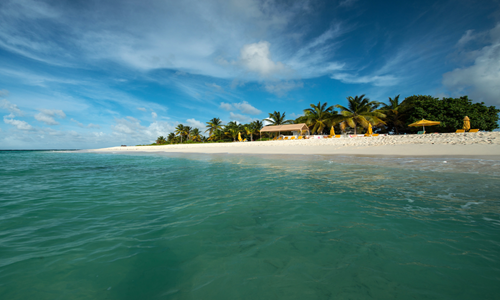 Shoal Bay is located on the North Coast of Antigua and boasts icing sugar sands and crystal clear Caribbean waters. The off-shore coral reef is perfect for snorkelling and diving, this stretch of beach is far quieter than the nearby Jabberwock Beach so ideal for those seeking relaxation. There are lots of dining options nearby for lunch, the nearest is Cecilia’s High Point Café boasting fresh seafood and excellent desserts. The most photographed beach in Australia, this famous beach stretches on for 7km, the waters a swirl of blue and turquoise. The sand is 98% pure white silica giving it a luminescent appearance. 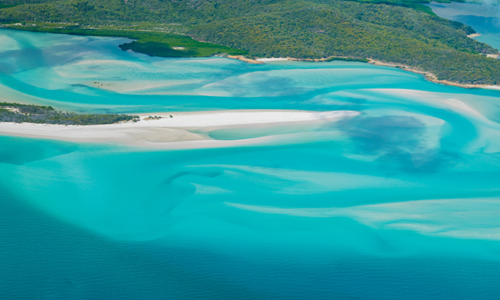 Located in the heart of the Great Barrier Reef, this beach provides excellent snorkelling opportunities. Head out on a catamaran tour to explore the nearby waters or a sea plane to see the magnificence of the beach from above. This beach is definitely one of the most unique. Now, a beach that has been created from years of dumped rubbish doesn’t sound very appealing to start with but bear with me. 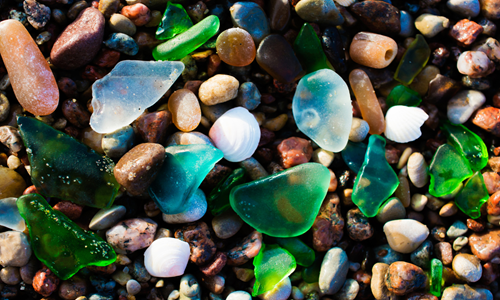 From 1906 to 1967 people from the local town used to dump glass, household appliances and even cars into the sea. A clean-up programme got rid of all the old metal and non-biodegradable waste with the ocean breaking down the glass and pottery. This has resulted in a beach dotted with pretty jewel-like stones spread across the sea, a must-see for its sparkling beachfront. 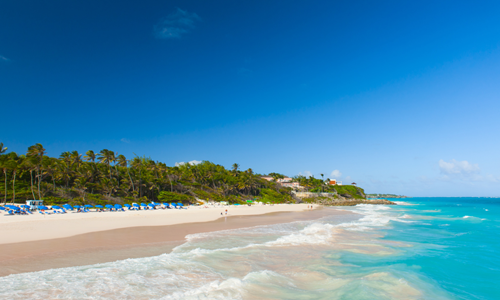 Crane Beach, originally a harbor, is considered one of the islands most beautiful beaches. The powerful waves make this an ideal spot for surfing and boogie boarding. The name Crane Beach comes from a large crane that used to be situated at the top of the cliff which was used for loading and unloading ships. This picturesque bay boasting crystal clear waters are situated on the main island of the UNESCO protected Fernando de Noronha, off the coast of Recife. Known as one of the best diving spots in Brazil, visitors can enjoy spectacular marine flora and fauna. 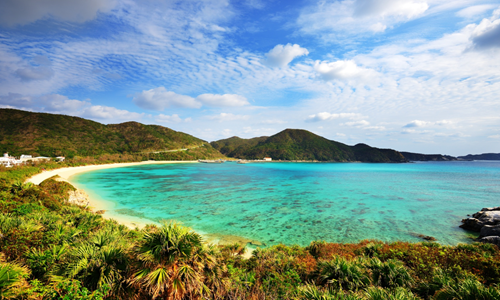 The cliffs surrounding the beach are the perfect place for dolphin spotting. Its shallow waters are excellent for swimming and snorkelling as well as many other watersports activities. 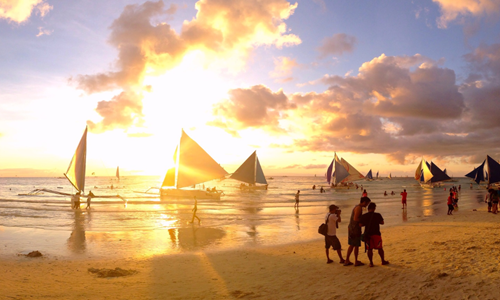 White beach is especially popular with kite boarding and windsurfing enthusiasts. The nightlife is also excellent, perfect for those night owls!